This month, multi award-winning actress, voice over artist and fashion blogger, Vida Ghaffari, will once again grace the cover of prominent fashion magazine, FVM Global Magazine. 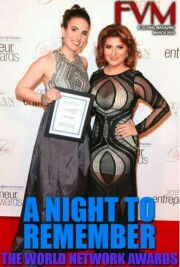 Noted entrepreneurial guru, Lousine Karibian, founder and CEO of the World Networks, will also be on the cover. Los Angeles, CA, March 4, 2016	(Newswire.com) - ​This month, multi award-winning actress, voice over artist and fashion blogger, Vida Ghaffari, will once again grace the cover of prominent fashion magazine, FVM Global Magazine. Noted entrepreneurial guru, Lousine Karibian, founder and CEO of the World Networks, will also be on the cover. 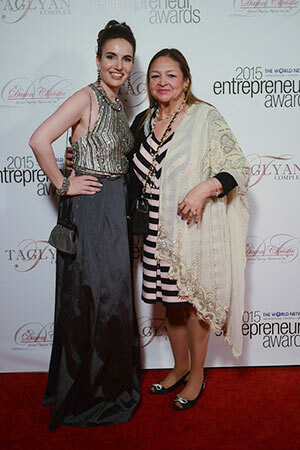 In this cover photo, these fashionistas were celebrating Ghaffari being bestowed with an Entrepreneur award for her various career endeavors by Karibian’s noted organization at the swanky Taglyan Complex in the heart of Hollywood. Ghaffari’s exquisite silver and taffeta gown was designed by Aidan Mattox. FVM Global Magazine was founded by Faith Boutin and Murray Rosen, with Boutin serving as Managing Editor and Rosen as Editor-in-Chief. This cover signifies many future creative collaborations by Ghaffari, Karibian, and Boutin. Ghaffari first appeared on the cover of this esteemed magazine last fall.